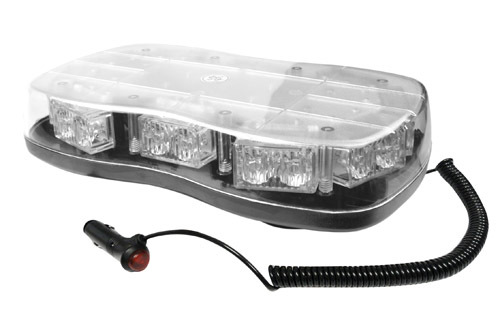 Our clear lens mini LED Lightbar is lightweight, versatile and rugged. Available with and without R65 approval, dual voltage versatility, low power consumption and magnetic/single point mounting mean it is suitable for all types of vehicles. Dimensions: 297 (l) x 175 (w) x 53 (h) mm.